Text and photographs © Kenneth Scott and Bradley Pitt (2016) unless otherwise cited. The Pacific Ocean is one of the most remote places on earth. To most people, the idea that an ancient culture set sail from Asia to South America, and back again, is unconceivable (despite the fact that modern-day explorer Thor Heyerdahl demonstrated this was possible). Polynesia is a vast area of the Pacific between New Zealand, Hawai’i and Rapa Nui (Easter Island), which despite massive distances, has been populated by ancient cultures for millennia. Crossing the Polynesian Triangle (as it is known) represents one of the greatest feats of human achievement. At the centre of the Pacific, Polynesia represents a vital missing link between Asia and the Americas; an alternative, earlier (oceanic) migration route to compliment the prevailing paradigm that the Americas were populated relatively recently, from Asia across the Bering Strait between Russia and North America. Although often overlooked by researchers, there is much similarity in language, megalithic architecture, cultural elements and indeed mitochondrial DNA among Asian, Polynesian and Native American peoples. The voyaging and settlement of people into Polynesia and beyond was unquestionably driven by ‘earth changes’, such as climate change or cataclysmic geological shifts (or both). Indeed, cataclysmic events are held within the psyche of indigenous peoples around the world, inscribed on ancient oracle bones, and detailed in the book of ‘Genesis’ in the Old Testament. Around the Pacific Rim, indigenous people talk of the flooding of their great homeland. It is often said that ‘to know our past is to know our destiny’. That is, the impact of such changes on ancient civilisations has direct relevance to modern civilisations, particularly for small island states in the Pacific facing massive challenges relating to climate-driven sea level rises and the subsequent emigration of climate refugees. The concept of ‘future history’ is that by learning about the events of the past, we can avoid descending back into negative cycles of evolution, and instead advance the planet to a Higher state of consciousness. Numerous legends around the world tell of a mysterious continent in the centre of the Pacific, known as ‘Mu’ or ‘Lemuria’, first introduced by Blavatsky in ‘The Secret Doctrine’ (Blavatsky 1977). One of the earliest references to Mu in the twentieth century was in the book ‘The Riddle of the Pacific’ (Brown 1924). Author John MacMillan Brown, a New Zealand academic, presented archaeological evidence from across the Pacific, including a variety of intriguing megalithic sites (hence the riddle). Shortly afterwards, in his book The Lost Continent of Mu, James Churchward popularised the notion of a mysterious sunken continent (Churchward 1926). His conclusions and the name Mu were based on his translation of stone tablets found in India where he was living at the time, corroborated by another set of stone tablets discovered by William Niven in Mexico. These tablets contained Naga symbols and characters, where it is said they were written in the ‘Motherland’ (Mu) and then transported to Burma and India. Churchward placed Mu roughly in the centre of the Pacific, to include island groups as far as Fiji, Rapa Nui and Hawai’i, and also noted the distribution of megalithic sites across the islands in this region. 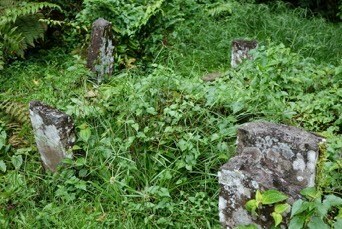 In Samoa, legends speak of a homeland of the Polynesian people, known as Havai’iki (or Hawaiki). Several islands may have been named after this homeland. For example, Hawai’i and the Samoan island of Savai’i (along with the word Havai’iki itself) may be derivatives of ‘Java’ (or ‘Hawa’), an island in South East Asia (Pearce and Pearce 2010). Modern-day satellite imagery and the detailed mapping of the ocean floor do not support the notion of a sunken continent in the centre of the Pacific. So the question remains, given these widespread, long-held legends of a long-lost continent, did one ever exist? And if so, where? 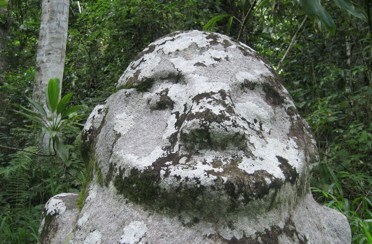 A wealth of archaeological and anthropological evidence has emerged indicating the continent referred to as Mu lies in South East Asia, from what is now Japan in the north, to Indonesia in the south (and inland to the Indo-China region covering Vietnam and Cambodia) extending over the Sunda shelf (known as Sundaland). Detailed seafloor mapping of this region shows a pronounced, elevated continental shelf area above water before and during the last glacial maximum around 20,000 years ago, which is now mostly underwater with the exception of some larger islands. The migration of people from Mu into Polynesia (and beyond) is an epic story of mass migration, both as climate refugees at the end of the last Ice Age and exploratory travellers in earlier time cycles. Paleolithic cultures have existed in South East Asia for a long period of time following an ‘out of Africa’ dispersal, evidenced by the discovery of ‘Java Man’ (Homo erectus erectus) on the island of Java dating back to 1.3 million years. In addition, the discovery of a small-statured adult humanoid named ‘the Hobbit’ (Homo floresiensis) living on the island of Flores in Indonesia, between 95-74,000–12,000 years ago (Morwood et al 2005; Brown 2012), suggests the possibility of an earlier, independent cycle of evolution or ‘experiment’. Flores is located on longitude 121°E, identified in Key 215 of ‘The Book of Knowledge: The Keys of Enoch®’ (Hurtak 1977) (the Keys) as a location where evidence of previous cycles of evolution will be found. Cave paintings on the island of Sulawesi (Indonesia) have been dated at 40,000 years, which is perhaps the oldest known rock art in the world (Aubert et al. 2014) that may have been made by proto-Australians given the similarity of Aboriginal hand stencils of a similar age. With respect to The Keys, the handprints depicted in this art symbolise the coming of the Adamic image of man on the 7th ray. Similarly, it may be possible that ‘Mungo Man’, found in the dry bed of Lake Mungo in the state of New South Wales in Australia, relates back to a previous, independent evolutionary experiment. Indeed, other ‘future artefacts’ showing evidence of older cycles of evolution may be awaiting discovery on this continent, providing the missing link where all other pieces of this riddle fit together. The commonly accepted date for the arrival of people in Australia from the north (via a land bridge to New Guinea when sea levels were lower) is around 40,000-75,000 years, consistent with the ‘out of Africa’ hypothesis. Logical arrival points include a northeastern land bridge (or short sailing route) from Papua New Guinea, or a moderate oceanic route from the Indonesian islands of Timor, Sumba or Flores to the northwest. Whilst Aboriginal language groups share much in common with respect to culture and a Higher cosmology, there are many differences around the continent. It may be that migration took place in a series of waves, with earlier migrants moving southwards over time, resulting in the more recent migrants occupying the northern parts of the continent. To fully understand the evolution and development of human civilisations in Mu and beyond, it is necessary to understand the difference between a physical evolutionary construct and consciousness evolution beyond Darwinism, which may involve human interaction with a Higher Intelligence (Hurtak 1999). For the experimental race on Flores, this may have been a discrete population arriving and leaving the planetary sphere independent of a linear migration pattern following a typical ‘out of Africa’ scenario. The Keys describes how the Higher Intelligence first sought to upgrade humanity aeons ago, most recently 36,000 years ago in the Takla Makan (Tarim Basin) region of central Asia (Key 105, verse 32; the civilisation of Tak). From there, migration occurred throughout the globe in a great planetary diaspora firstly to the boundaries of Mu and ultimately to South America, in cycles of 24,000, 12,000 and 6,000 years. 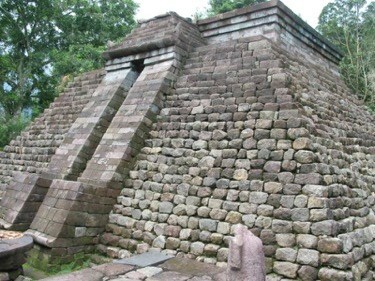 The pyramid of Gunung Padang in Indonesia, thought to be up to 20,000 years old (Hancock 2015), as well as other megalithic structures throughout South East Asia, may be remnants of this initial dispersion from central Asia. It is interesting to note that civilisations in Egypt, Mesopotamia, India and Burma speak of their people originating in the east, and those of North and South America speak of coming from the west (Temple of Mu DVD 2002). Ultimately these civilisations may have ended due to internal or climatic disasters. The Academy for Future Science has been actively involved in researching submerged landforms off the coast of Ryukyu Islands in Japan (near Taiwan), known as the Temple of Mu (Schoch and Hurtak 2002). Located on longitude 121°E (see Key 215), they are considered to be natural structures that may have been utilised, modified, and enhanced by humans in ancient times, probably prior to the end of the Ice Age 10,000-12,000 years ago. 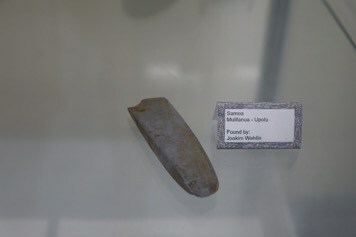 The profound connection between Taiwan, the Ryukyu Islands and China is seen in chipped and partially polished rectangular hoes, stepped adzes, and shouldered axes, which could have been used in the late Mesolithic for commerce or to build terraces for agriculture (Schoch and Hurtak 2002). It is interesting to note that the first of 36 generations of emperors in Japan, Jim-Mu and KimMu, have a clear linguistic relationship to the motherland of Mu (Schoch and Hurtak 2002). Rapid climatic shifts at the end of the Ice Age drove the inhabitants of Mu to seek higher ground and colonise new lands. There were in fact three Ice Age floods that formed this ‘great flood’, triggered by ice melt in the warmer conditions that followed the Ice Age, approximately 13,000, 11,000 and 9,000 years ago. These events together raised sea levels by 120 m (compared to that at the Last Glacial Maximum about 20,000 years ago), drowning the region between China and Japan, and large parts of Sundaland. El Niño droughts and famines were also likely to have influenced the migration of Polynesian peoples to seek new lands in the post-Ice Age period (Pearce and Pearce 2010). Hancock (2015) suggested a rapid sea level rise could have resulted from the impact of comet fragments hitting North American ice sheets 12,800 years ago. As for the origin of Polynesians and their Pre-Polynesian predecessors (i.e. descendants from Mu), several theories have been developed to explain their origin, location of cultural development and subsequent migration routes into the Pacific (Oppenheimer 1998; Pearce and Pearce 2010). These include the ‘Out of Taiwan’ / ‘Express Train to Polynesia’, ‘Slow Boat to the Bismarcks’, and ‘Two Train’ theories. 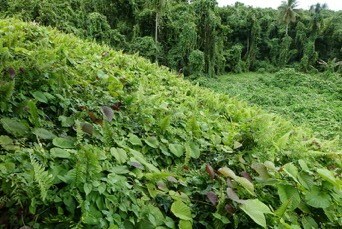 Theories with a Taiwanese origin are currently favoured by scholars, which describe migration from Taiwan to Polynesia with little or no contact with indigenous populations in island South East Asia. Chinese agriculturalists are thought to have arrived in the Bismarck and Solomon island groups about 3,600 years ago, and then rapidly spread into western Pacific and then eastern Polynesia after a cessation of around 500-1500 years. However, this is an area of ongoing debate and research on a number of different fronts. In particular, Oppenheimer (1998) and Pearce and Pearce (2010) contend that island South East Asia is the ancient homeland of Polynesian and Pre-Polynesian peoples, rather than Taiwan. Whilst there is little archaeological evidence, it is considered plausible that settlement (or at least visitation) of the Pacific occurred much earlier than the accepted paradigm, in accordance with the planetary diaspora of the civilisation of Tak beginning from central Asia 36,000 years ago. 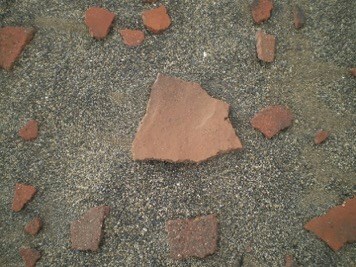 Nevertheless, previous cultures in the region left behind archaeological ‘footprints. Ceramics and petroglyphic markers provide a highly visible marker for a post-Ice Age diaspora of a Pre-Polynesian ‘Lapita cultural complex’ which arose in the Pacific about 3,500 years ago as a result of expanding oceanic voyaging from Melanesia, or the ‘express train’ from Taiwan (Burley and Connaughton 2007). The name Lapita derives from a site on the Grand Terre (Main Island) of New Caledonia where in 1952 a distinctive style of decorated pottery was found (Burley and Connaughton 2007). Lapita literally means ‘he dug a pit’. Indigenous people saw an archaeologist pick up a piece of rubble, and apparently exclaimed with excitement “Xapeeta!” (“He dug a pit!”), and the misunderstood interpretation has been used ever since (Lapita Pottery and Polynesians n.d.). Lapita pottery includes jars, bowls and dishes bearing complex geometric designs impressed into clay by small-toothed stamps (Allen and White 1989; Fig. 1). Fig. 1. 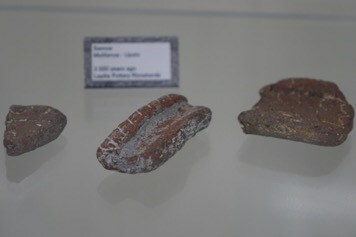 Lapita pottery sherds (a) and blade (b) excavated from the sea floor off Mulifanua, Samoa (on display at the Museum of Samoa, Apia) (2014), and pottery sherds on a beach (c) at Sigatoka, Fiji (2010). Lapita pottery first makes an appearance in the Bismarck Archipelago, and then spread rapidly throughout Melanesia and the central Pacific, including previously uninhabited islands such as Samoa and Fiji, but not as far as eastern Polynesia (e.g. Hawai’i and Rapa Nui; Oppenheimer 1998). 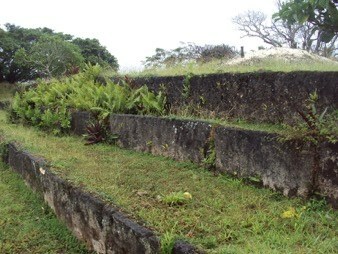 Based on Lapita artefacts, western Polynesia (the island of Tongatapu in Tonga) is estimated to have been settled around 900 BC (Burley and Dickinson 2001), with settlement in Vava’u to the north shortly thereafter at around 900-850 BC (Burley and Connaughton 2007). These dates correspond to the age of ceramic sherds and other artefacts uncovered from Mulifanua, Samoa, dated to 930-800 BC (Dickson and Green 1998; Petchey 2001), suggesting colonisation by the Lapita people at a similar time. The making of dentate pottery was replaced by plainware a short time after the dispersal of Lapita people into Polynesia, and plainware pottery was only continued for a few more generations after that transition. For example, in Vava’u, the Lapita (dentate) / Polynesian (plainware) transition occurred around 685-645 BC (Burley and Connaughton 2007). The period 400-1000 AD has been called the ‘Dark Age’ of Samoan prehistory on account of limited evidence in the archaeological record (Davidson 1979; Smith 2004). 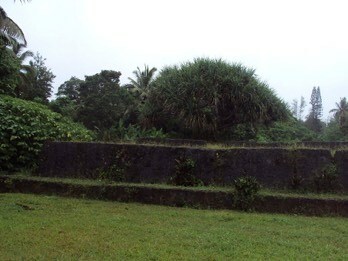 At the beginning of this period, the manufacturing of pottery was abandoned in Samoa, and at the end of the period, monumental architecture started to appear in this new megalithic, aceramic age. The recent discovery of petroglyphs on a beach in Tonga’s Ha’apai Group heralded an important discovery for understanding the migration and settlement patterns of Lapita people throughout Polynesia (Egan and Burley 2009; Fig. 2). 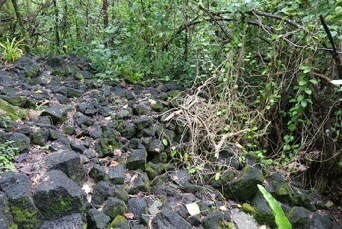 Three horizontal rock surfaces with over 40 images typical of Hawaiian rock art were exposed at Houmale‘eia on the northern end of Foa Island following a storm. 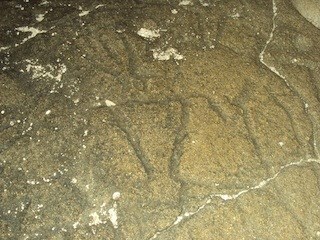 Motifs on the rock surfaces include animals such as turtles and birds, as well as approximately 22 anthropomorphs, the dominant category (Egan and Burley 2009). The petroglyphs have been dated at 1400 AD-1600 AD (approximately 500 years after Lapita people first settled the island; Dickinson et al. 1994, Egan and Burley 2009). Correspondence with the emergence of the triangular torso motif in Hawaii suggests a rapid colonisation of eastern Polynesia by the Lapita people (Lee and Stasack 1999). Fig. 2. 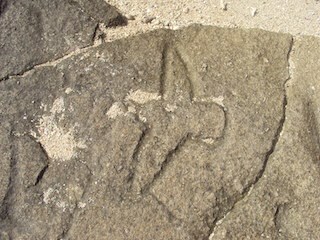 Petroglyphs at Houmale‘eia on the northern end of Foa Island, Tonga (2011), including a bird motif (a) and anthropomorph (b). 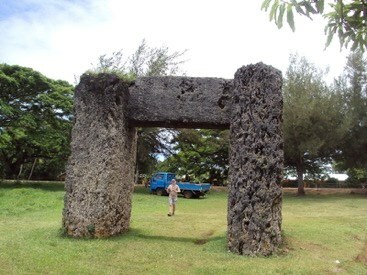 Ancient cultures in the Pacific left behind a variety of megalithic structures, such as fortifications (Fiji and New Caledonia), mounds and platforms (Fiji, Tonga, Samoa and New Caledonia), stone circles (Samoa), and ceremonial structures known as Marae in the Cook, Society and Tuamotu Islands, Heiau in Hawai’i and Ahu on Rapa Nui (Fig. 3). Who built them and why? Their construction is usually attributed to the Lapita people since Lapita artefacts are co-located at these sites, however, they may be the result of preLapita civilisations much earlier. Are we to believe scientists who say such megalithic monuments could have only been built in the last 1000 years, and built using primitive stone-age tools? These megalithic cultures were clearly advanced, perhaps constructing these sites using skills imported from Mu or South America (much earlier than the currently accepted chronology), or even with the aid of Higher intelligence. Of course, particular sites can be occupied by successive cultures who build over the top of existing structures, explaining the Lapita association with megalithic sites in the Pacific. That modern-day Polynesians societies bear little cultural similarity to the Lapita people and have no association with these megalithic sites may indicate their association with a separate, more recent migratory wave from Asia. Archaeo-astronomy may prove to be the key to understanding the exact date of construction, although this is yet to receive detailed examination. Fig. 3. 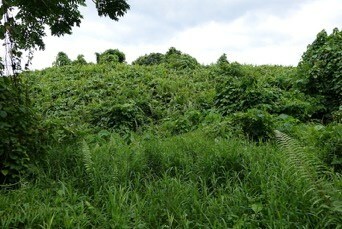 Megalithic architecture in Polynesia: a) Pulemelei Mound, Samoa (2014); b) Fale O Le Fe’e (House of the Octopus), Samoa (2014), c) star mounds, Samoa (2014) and d) langi, Tonga (2011). Pearce and Pearce (2010) propose that the West Pacific Warm Pool (WPWP) was a strong driver of oceanic voyaging across the Pacific via ocean currents within the Pool during the post-Ice Age period. In particular, they propose that Lapita people voyaged out of their homeland (considered to be the Spice Islands) west to Madagascar and east Africa, north to Japan, Hawaii and America and south to New Zealand, following major currents flowing out of the WPWP (the strength and location of which varies over time). Importantly, these authors show that strong El Niño Southern Oscillation events were capable of reversing the direction of trade winds and currents in the Pacific. That is, if a journey to the west (from South America) was undertaken at the start of an El Niño event, a predictable west/east reversal of trade winds and currents would ensure a safe return, thereby facilitating two-way travel between Asia and South America (like Thor Heyerdahl showed). It is interesting to note that Mesoamericans thought of themselves as survivors of oceanic cataclysms, with many of their temples built to commemorate the destruction of their ancestors in the Pacific (Hurtak 2002). Indeed, recent mitochondrial DNA analysis has shown similarity in genetic markers between an indigenous tribe in Brazil and Polynesian people (Perkins 2013). Correspondence in language and megalithic architecture may provide additional evidence of oceanic voyaging from central Asia to South America, perhaps even prior to the end of the last Ice Age. For example, in Ecuador and Peru, there are inscriptions of a language that clearly show a scientific correspondence between the peoples of China, central Asia and priest-scientists in charge of sacred pyramidal structures (Hurtak 1994). Also, the Hopi and Mescalero Indians of the American Southwest speak a language similar to Mongolian/Tibetan (e.g. the word Metaka used to indicate holy place of contact), suggesting a linguistic bridge between the peoples of central Asia and North America (Hurtak 1994), either through migration across the Bering Strait or perhaps from South America following oceanic voyaging across the Pacific. In terms of architecture, the resemblance between stone arches, temples and statues across South East Asia, the Pacific and South America is unmistakable (Fig. 4). 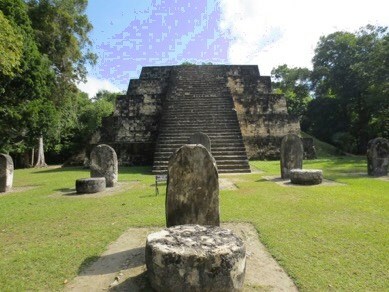 The correspondence of megalithic architecture, language and mitochondrial DNA amongst Asian, Polynesian and South American people clearly indicates a high degree of connectivity, both in ancient times prior to the end of the last Ice Age, as well as more recently as a result of cataclysmic geological changes during the great flood around 9,000-13,000 years ago. The story of Mu gives us valuable insights into what lies ahead of us. For example, the occurrence of cataclysmic events in the recent geological record (such as tsunamis and cyclones) provides food for thought in relation to the impact of such events on low-lying coastal communities in the Pacific today (Williams 2014). Indeed, Lapita artefacts found off the coast of Samoa are a sombre reminder of the impacts modern-day communities can expect with climate change or other geological events. Some of the oldest known Lapita artefacts were uncovered from a submerged coastal settlement, now 2.7 m below sea level as a consequence of coastal subsidence in the post-Ice Age era (Dickson and Green 1998). Having an understanding of such geological processes enables humanity to learn lessons from the past and focus more on consciousness evolution beyond a material, survival mindset. 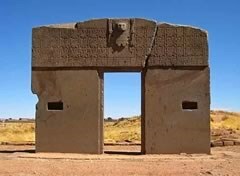 According to The Keys, megalithic architecture and Higher geometric symbols (as seen in petroglyphic markings) show the locations on earth where contact with Higher intelligence, and legendary beings such as Melchizedek, took place (see Key 215). That these places have been contact points for the coming of the Higher evolution, and will again be places of contact in the future, is not to be taken lightly. The role of the spiritual anthropologist in the Academy for Future Science is to understand the greater context of these places as they relate to a Higher spiritual cosmology. Sacred sites around the globe tie into the one grid of consciousness programming and transcription of teaching brought by teachers of Light. Both spiritual and scientific knowledge should be synthesised to understand the grid points throughout the world. With this, we will see that Polynesia represents a vital missing link between Asia and the Americas, that people inhabited Polynesia much earlier than currently recognised, and that oceanic voyaging to and from South America was possible and indeed was achieved by a series of ancient, sea-faring cultures. Fig. 4. Architectural correspondence between a) Tiwanaku in Bolivia and the Ha’amonga ‘a Maui Trilithon in Tonga (2011), b) Candi Sukuh in Indonesia and Mayan pyramids in Central America (Tikal Complex, 2013), and c) statues in Sulawesi, Indonesia and Tahiti. Dr. Kenneth Scott (BSc (Hons); PhD) and Mr. Bradley Pitt are independent researchers bringing together the spiritual wisdom of ancient cultures with contemporary scientific understanding to document the higher significance of sacred places around the world. Dr. Scott is a plant ecologist with a broad background in land management, ecological research, protected area management, and the development of public policy for the sustainable management of natural resources. His PhD examined the influence of fire regimes on the structure and composition of plants in tropical savannas, and is regarded as a subject matter expert on grass-layer plant dynamics in Australian tropical savannas. Following the completion of his studies, he travelled to Zambia to undertake a volunteer project with a rural community, to better understand the role of wildfire in African savannas and the ignition sources of human-caused wildfire. He has presented the results of scientific research at national and international conferences (including in Spain and South Africa), and has authored several peer reviewed scientific publications in Australian and international journals. His current focus includes Pacific prehistory and the legends of Mu, megalithic anthropology and documentary film making at sacred sites around the world. Mr. Pitt is a futurist and spiritual teacher dedicated to synthesising science and spirituality, guiding us towards a vision of the new world. As an active member of the World Peace Prayer Society, and gifted visionary and spiritual communiqué, he promotes new peace initiatives and inter-religious harmony. He has been a representative for the Multi-faith Association of South Australia, attending the Parliament of World Religions as a delegate and forum facilitator on behalf of national and international organisations. As an Earth Charter representative for South Australia, he examined ways to instil better values and ethics in businesses and the work of NGOs. Additionally, he was a former member of UNESCO-APNIEVE South Australia (Asia Pacific Network for International Educational and Values Education). Bradley has a strong interest in the practice of vibrational medicine, which spans a broad spectrum of disciplines such as acupuncture, electrotherapy, meditation, sound therapy and psychic healing. As Co-director of Sacred Resonance, he uses visual arts, music and education to raise the profile of future sciences. Through his visionary thinking, he examines how we can build a bridge between science and spirituality, and in-turn address key areas of humanity’s dilemmas facing us in the 21st century. He is currently the Australian Coordinator (with Darren Curtis) of the Academy for Future Science. Allen J, White P (1989) The Lapita homeland: some new data and an interpretation. Journal of the Polynesian Society 98 (2), pp. 129-146. Aubert M, Brumm A, Ramli M, Sutikna T, Saptomo E, Hakim B, Morwood M, van den Bergh G, Kinsley L and Dosseto A (2014) Pleistocene cave art from Sulawesi, Indonesia. Nature 514, pp. 223-227. Blavatsky HP (1977) The Secret Doctrine. Theosophical University Press, Pasadena. Brown J (1924) The Riddle of the Pacific. Maynard and Co, Boston. Brown P (2012) LB1 and LB6 Homo floresiensis are not modern human (Homo sapiens) cretins. Journal of Human Evolution 62, pp. 201-224. Burley D and Dickinson W (2001) Origin and significance of a founding settlement in Polynesia. National Academy of Sciences Proceedings 98, pp. 11829-11831. Burley D, Connaughton S (2007) First Lapita settlement and its chronology in Vava’u, Kingdom of Tonga. Radiocarbon 49 (1), pp. 131-137. Churchward J (1926) The Lost Continent of Mu. Republished in 2007 by Adventures Unlimited Press, Kempton. Davidson J (1979) Samoa and Tonga. In J Jennings (Ed. 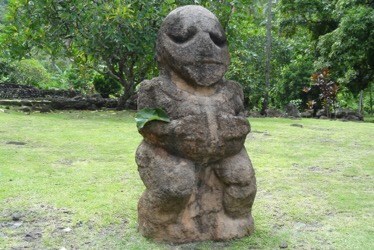 ), The Prehistory of Polynesia, pp. 82–109. ANU Press, Canberra. Dickinson W, Burley D and Shutler R (1994) Impact of hydro-isostatic Holocene sea-level change on the geologic context of archaeological sites, northern Ha‘apai group, Kingdom of Tonga. Geoarchaeology 9 (2): 85-111. Dickinson W, Green R (1998). 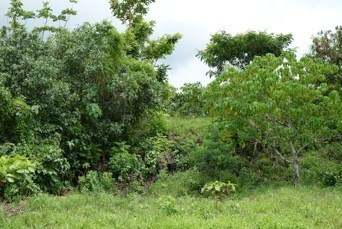 Geoarchaeological context of Holocene subsidence at the Ferry Berth Lapita Site, Mulifanua, Upolu, Samoa. Geoarchaeology: An International Journal 13 (3), pp. 239–63. Egan S, Burley D (2009) Triangular men on one very long voyage: The context and implications of a Hawaiian-style petroglyph site in the Polynesian Kingdom of Tonga. Journal of the Polynesian Society 118 (3), pp. 209-232. Hancock G (2015) Magicians of the Gods. Hodder and Stoughton, London. Hurtak J (1994) Giza, Takla Makan and beyond: Blueprint for cosmic reunification. Future History 6, pp. 8-11. Hurtak J (1977) The Book of Knowledge: The Keys of Enoch. Academy for Future Science, Los Gatos. Hurtak J (1999) Beyond Darwinism: a small history of everything forgotten. The Academy for Future Science, Los Gatos. Hurtak J (2002) From world catastrophe to global migration. Future History 3 (9), pp. 7-10. Lapita Pottery and Polynesians (n.d.) Available from: <http://users.on.net/~mkfenn/page6.htm>. [8 February 2016]. Lee G and Stasack E (1999). Spirit of Place, Petroglyphs of Hawaii. Easter Island Foundation, Los Osos. Morwood MJ, Brown P, Jatmiko, Sutikna T, Wahyu Saptomo E, Rokus Awe Due, Roberts RG, Maeda T, Wasisto S, Djubiantono T (2005). Nature Letters 437, pp. 1012-1017. Oppenheimer S (1999). Eden in the East: The Drowned Continent of South East Asia. Orion Books Ltd, London. Pearce C and Pearce F (2010) Oceanic Migration: Paths, Sequence, Timing and Range of Prehistoric Migration in the Pacific and Indian Oceans. Springer, New York. Perkins S (2013) ‘DNA study links indigenous Brazilians to Polynesians’, Nature News 1 April. Available from <http://www.nature.com/news/dna-study-links-indigenous-brazilians-to-polynesians-1.12710>. [9 October 2015]. Petchey F (2001) Radiocarbon determinations from the Mulifanua Lapita site, Upolu, western Samoa. Radiocarbon 43 (1), pp. 63-68. Schoch R and Hurtak J (2002) ‘The Ryukyuan submerged landforms of the late Quaternary’ In: J Hurtak (Ed. ), Consciousness, Energy and Future Science, pp. 25-45. Academy for Future Science, Los Gatos. 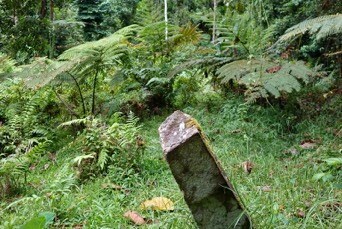 Smith A (2004) Are the earliest field monuments of the Pacific landscape serial sites? Records of the Australian Museum, Supplement 29, pp. 133-138. Temple of Mu 2002, (DVD), IMD Films, Japan.